With only a few days left of being pregnant, I figured it's probably best that I do not give in to the greasy french fry (steak french fries if I am going to be specific) craving that I have been having recently. I feel like a fat kid trapped inside of a body that is not mine right now and I am so ready to get back to the gym and get my workout on...all in good time of course. I tested out this recipe yesterday as a "Pre Memorial Day BBQ snack," and these babies totally hit the spot! Plus the prep time took less than 5 minutes, which is always a plus in my book. Fresh green beans (not frozen) I used about 3 cups. 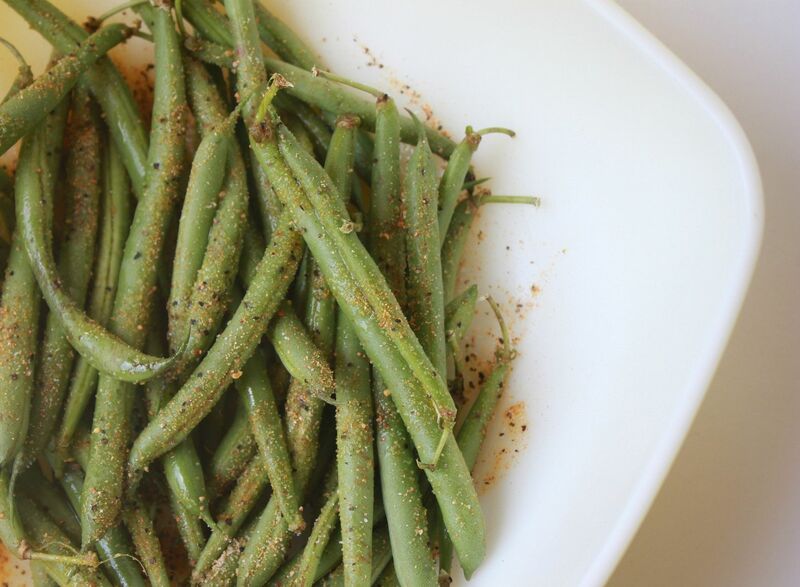 In a large bowl, combine the green beans with the olive oil, salt, pepper and garlic salt. 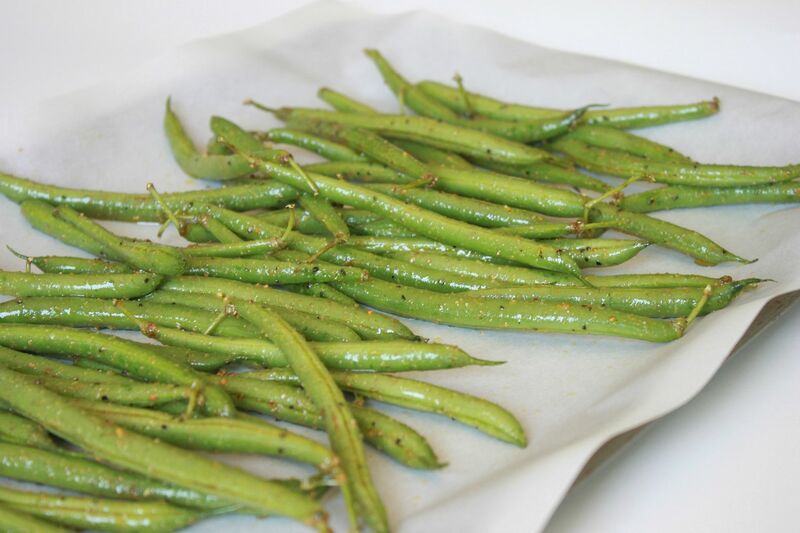 Place green beans on baking sheet lined with parchment paper. Bake for 25-30 minutes, turning once while baking. Take them out when they are nice and crispy. The browner and more caramelized they are the better! If you are having a craving (pregnant or not) for a starchy little snack, but want to have a healthier option...these will do the trick! I am going to pick up some beans today and try this out! I need some healthier treats and these look delicious! 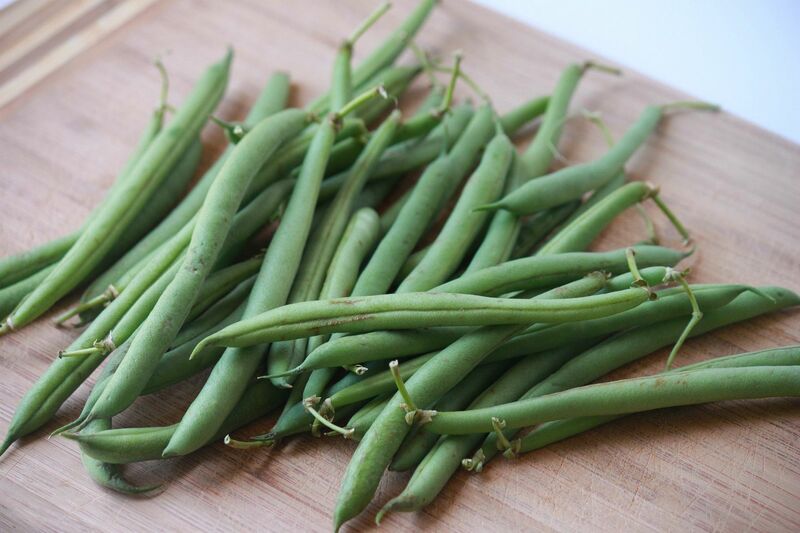 love green beans...I love them with sea salt!! i think i'll try these with crushed red chili flakes and sesame seeds! This looks SO yummy! I love green beans! Yum! Always looking for new ideas with veggies. I love green beans anyway...so these look yummy! Hope you are feeling well Lindsay, you're getting so close! Yum! 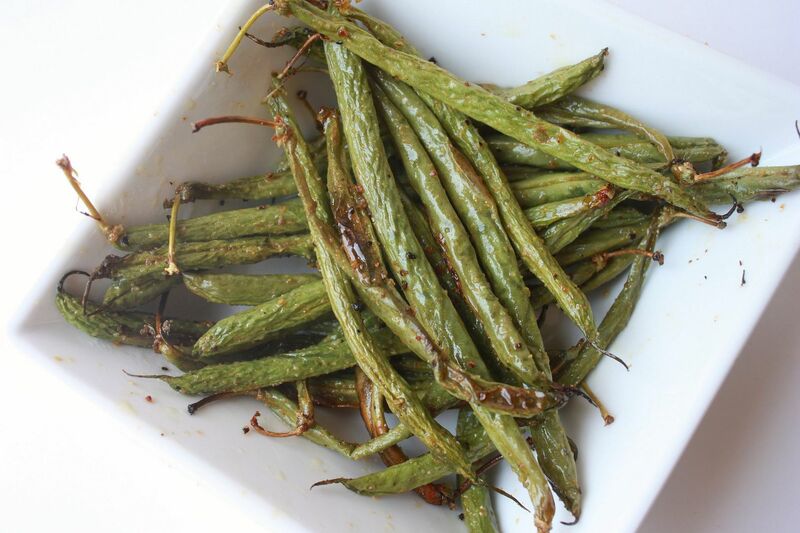 I love green beans and they go great with so many summer dishes!! Thanks for sharing! Just a few more days - hang in there! :) These beans do look nice and crispy - I think I would like these much better than steamed! I'm 4 months pregnant and craving salty, crunchy chips and french fries!! In an effort to be healthy I bought green beans yesterday and I will DEFINITELY be doing this tonight! Thanks for the recipe! Yay!! Just a few more days!! I will have to keep these in mind next time I am craving a salty snack. These ARE yummy and I don't even like green beans that much! I've made them several times. I would just say to snap them first so you can eat them faster when they're done! Follow the exact same steps with asparagus if you like that veggie - soooooo good! Might not take as long to cook, so watch the cook time. Once again - SOOOO good. The green bean fries look delicious. than you for posting the recipe. I made these a few days ago....I let them get very crispy...love them!! Not sure if im doing something wrong but mine didnt turn out crispy. I left them in 400 degrees 35 min but didnt wanna leave to muvh longer cause they were getting pretty brown. These look great- and a good way to use of the masses of runner beans from the garden at the mo. Love it! This recipe is great! These look amazing! I was thinking about doing something like but with Panko bread crumbs. However I think I can skip the bread crumbs now! Thanks for this idea! How tasty! I've been into roasting cauliflower lately but green beans hadn't entered my mind. Just discovered your blog and am enjoying it!!! Silvia. Made them last night! Wowzer! I don't think I will be able to have green beans any other way from now on.